DSC03311, a photo by CAKE Amsterdam - Cakes by ZOBOT on Flickr. 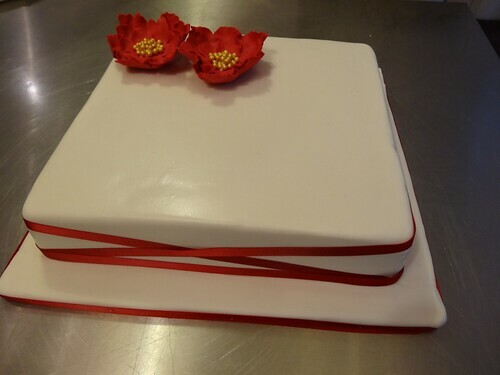 White fondant with red ribbon wrap to make a elegant modern effect... topped off with 2 fondant flowers with gold sugar beads. Congrats to Karen & Ruth!